Dr. Teresa Blasco studied Chemistry at the Complutense University of Madrid. She carried out her PhD studies at the Catalysis and Petroleochemistry Institute in Madrid (CSIC) under the supervision of Prof. J. Soria, and gained her PhD in Chemistry in 1988 (Complutense University of Madrid). During her doctorate she investigated the strong metal-support interactions on supported metal catalysts, using EPR as the main technique Subsequently, she joined the research group of Prof. Michel Che during two years, from 1988 to 1990 at the Laboratoire the Reactivité de Surface et Structure at the Université P. et M. Curie in Paris as a Post Doctoral Fellow. During her post-doctoral stay she became a user of X-ray Absorption Spectroscopy techniques using Synchrotron Radiation facilities. She returned to Spain at the Institute of Chemical Technology (ITQ) in Valencia in 1990 as responsible researcher of the new solid state NMR spectrometer, and got a permanent position as Tenured Scientist of the Spanish National Research Council (CSIC) in 1991. During this period she made a short stays of three months with the research group of Prof. J. Klinowsky at the University of Cambrigde, and of Prof. J. Sanz at the Material Science Institute of Madrid (CSIC). She was promoted to Scientific Researcher in 2006. 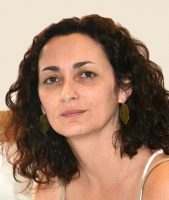 The main research activity of Dr. Teresa Blasco is mostly focused on the characterization of solid catalysts and the investigation of reaction mechanisms in heterogeneous catalysts using in situ techniques, principally solid state NMR spectroscopy. Dr. Teresa Blasco is co-author of about 70 papers in high impact scientific journals and numerous communications in national and international conferences and has supervised four PhD works. 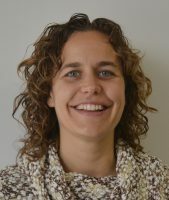 She has recently published a tutorial review: “Insights into reaction mechanisms in heterogeneous catalysis revealed by in situ NMR spectroscopy” T. Blasco, Chemical Society Reviews (2010), 39(12), 4685-4702.